Date / Time: 25th – 27th April 2019 at 19:30, doors open 19:00. Prices: £6 including interval refreshments. 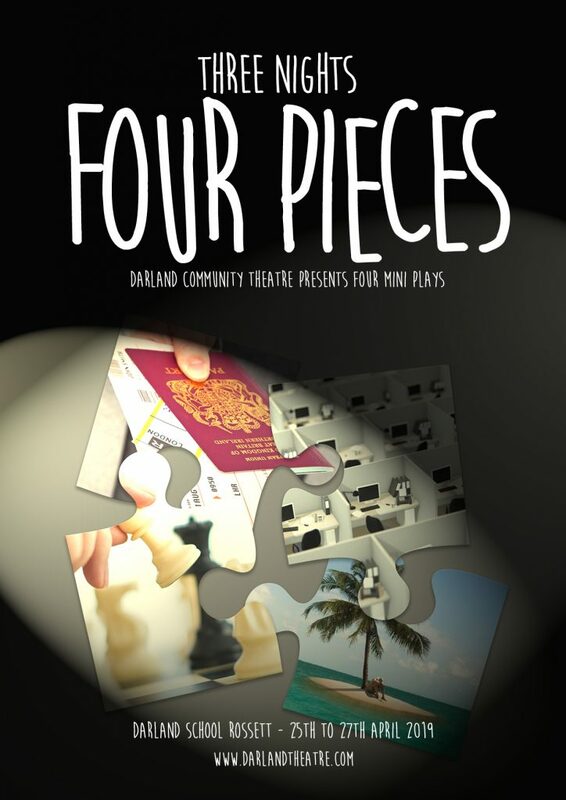 Darland Community Theatre invites you to ‘Three Nights Four Pieces’ a drama, Checkmate by Robert Scott and 3 comedies – Cube Farming by Damian Trasler, Airfield by Bob Tucker & All By Myself also by Robert Scott. Tickets are payable in advance by booking here Or phone Jan on 01978 855770 / email info@darlandtheatre.com to reserve seats, payment due soon after. Read 1,145,726 times in last 30 days, and 73,921,689 times since we started in 2011.